Any user requiring to run a SQL Trace using SQL Server Profiler must have the ALTER TRACE permissions on the SQL Server instance. Talking about permissions, it is important to remember that such users will be able to see sensitive information and therefore such access must be restricted to members of the db_owner fixed database role, or members of sysadmin fixed server role. For efficient access to the trace data, SQL Server Profiler uses the path specified by the TEMP environment variable to store the trace data. It is required that SQL Server Profiler has a minimum 10MB of free space. If by chance, the free space drops below 10MB, all SQL Server Profiler functions stop. Now that we have the basics, let’s see the 3 ways by which we can invoke SQL Server Profiler. NOTE: No SPID filtering is performed. NOTE: Note that the SPID being traced by the Profiler is automatically set to the SPID of the Query editor window. NOTE: Note that the the SPID being traced by the Profiler is automatically set to the SPID selected in the Processes pane. In my next post, I will be looking at Profiler Templates, Template types and how to create customized templates. I have tried to provide the reader with the essentials to get started with SQL Server Profiler. The reader may refer the following Books On Line pages for advanced reading. 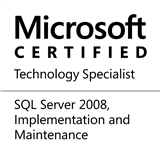 This entry was posted in #SQLServer, Blog, Imported from BeyondRelational and tagged #SQLServer on November 14, 2011 by nakulvachhrajani.